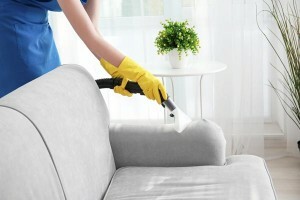 If you need to hire an upholstery and carpet cleaner in Brisbane, make sure you choose wisely because using good quality equipment is only half of the equation. At SGK, we use cleaning agents that combine a unique formula with advanced technology. This leads to extremely powerful products that are designed to resist re-soiling of your floors. All agents our cleaners use contain a non-sticky residue that doesn’t attract dirt or soil, which helps to eliminate wicking and reduces chance of recurring stains. This will help your carpets to stay cleaner for longer, and also reduces the amount of times they need to be cleaned again. Our team makes use of powerful truck mounted equipment which guarantees professional results. With over 25 years’ experience in the industry, you can trust us to do the job right, the first time around. For professional Brisbane carpet cleaning, come to SGK. We pride ourselves on adhering to real estate standards, and therefore are the company of choice for many agencies requiring a professional team of cleaners. When it comes to cleaning for the real estate industry, it’s imperative that floors are spotless and cleaned to a high degree. When you hire us, you will find that our services meet these strict standards. We will always quote you the total price of your service, without any hidden costs or surprise ‘extras’ that weren’t originally mentioned. With SGK, you will experience some of the best carpet steam cleaning the city has to offer. We understand what a big investment furniture can be and that is why we offer upholstery cleaning Brisbane wide that is suitable for almost every type of fabric. Your suite will be treated using a pre-spraying agent to loosen any soil and perspiration and will then be steam-cleaned, leaving it looking and feeling brand new again! We can also apply a protector to ensure stains will be less likely to re-occur. In addition, we provide a professional leather cleaning service which includes cleaning, moisturising (to avoid cracking) and applying protection, which helps prevent future staining from accidental spillages. If you are in need of a company that provides efficient carpet or upholstery cleaning services, as well as tile and grout cleaning, call SGK today on 07 3204 6989. You can also reach us on 0428 456 710 or use our online contact form.